Home Entertainment ‘Power Rangers 2’ Release Date: Is the sequel really in works? 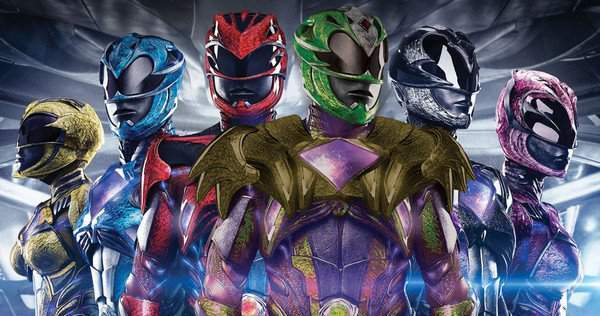 ‘Power Rangers 2’ Release Date: Is the sequel really in works? Power Rangers 2: The sequel may get a release date soon. Giving an underwhelming performance at the box office, it didn’t close the doors for Power Rangers movie franchise. People are still waiting to catch PR second part. Rumors and speculations are already out. Let’s check out the latest news, updates and what we have so far. During an interview, director Dean Israelite shed some light on the possible antagonist in the upcoming film. He shared his thoughts with the fans. Lord Zedd would be the nemesis and the young interplanetary warriors will battle in the sequel. It will be exciting to watch. Here’s what the director has to say. Check it out. Further, some more details about the next installment were revealed by Israelite. It is possible that Zords will get some upgrades in the coming sequel. And there isn’t any specific count to what number of upgrades will be shown. Obviously, the sequel will hold many new happenings and events to look at. To catch high ratings, it is a must to show different alterations in the film. In this direction, efforts are being made. When dealing with the plot of the film, the director is putting all his efforts to expand the plot and make it more likable. The film was desired to have more sequels. In this regard, Lionsgate CEO Jon Feltheimer has already shown his desire to release five to seven PowerRangers films later. Future launches for the film are possible only if the film receives good reviews and responses. But the first installment received a very passionless attitude from the audience. There was an uninterested behavior shown by the viewers for the film. So, there are rumors of the cancellation of all future sequels. However, Inside Licensing reported in August 2018 that Hasbro’s Allspark Pictures is working on a new sequel to the movie, Power Rangers 2, the follow-up to the 2017 reboot. In early 2018, Hasbro acquired Power Rangers from Saban Entertainment in a massive $520 million deal. It has been confirmed by the Hasbro CEO Brian Goldner. Hopefully, the production department will show some light on the release of the sequel. As soon as the launch is confirmed, we’ll update the article. By the ways, did you like the PowerRangers film released in 2017? What are your views and thoughts? Share in comments. For more updates and news hub, stay connected to TheReporterTimes! Don’t forget to share.